Is worrying about your eating leaving you overwhelmed? Eating well doesn’t have to mean overthinking it. 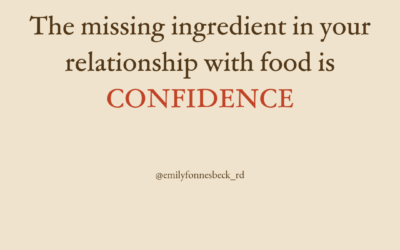 Your journey to rebuilding a peaceful relationship with food starts here. 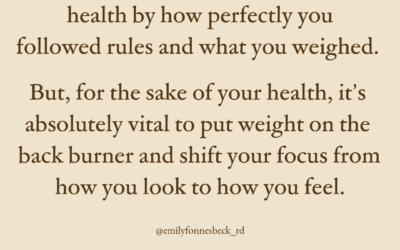 In a world which obsesses over nutrition and body image, eating “right” can feel defeating. It’s easy to fall prey to body dissatisfaction and the newest food trend promising amazing results. But then, something goes wrong. You find yourself preoccupied with food rules and chasing perfection. Restrictive eating patterns quickly turn to overeating and binging, which makes you feel like you need to add more rules, or different rules, to make up for it. Then, the cycle starts over. The guilt and shame feel overwhelming and you start to believe you are powerless. 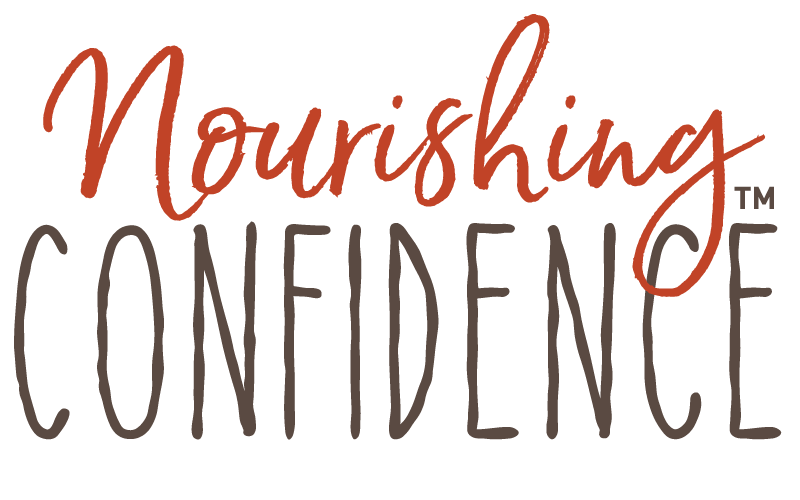 Nourishing confidence means reconnecting with that part of you that knows when, where, and how to eat for not just maximum health, but maximum empowerment. with me to discuss your questions, concerns and goals. Hi, I am Emily Fonnesbeck, RD. The Hard Truth about Diets. They Don’t Work. 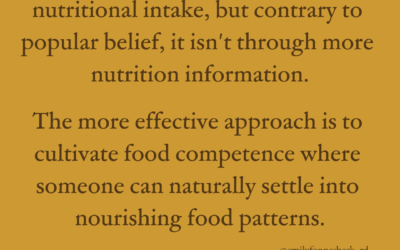 Diets and food rules ignore your body’s natural ability to know what it needs, creating a disconnection between you and your body. Your eating habits are influenced by more than just what you know about food. They can be influenced by beliefs, past dieting, family culture, food preferences, people you associate with, the media you consume and your body’s unique physiology. Using Intuitive Eating principles, you’ll discover a weight-neutral, non-diet approach to nutrition where I believe all foods can fit. 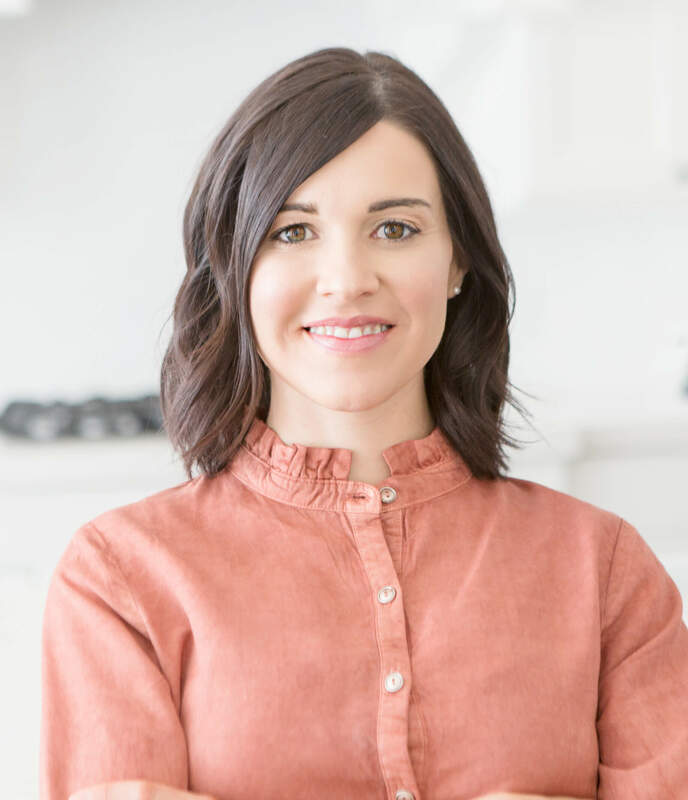 As a nutrition therapist and Registered Dietitian, I can help you build confidence, knowledge, and trust in your ability to make food decisions without a strict set of rules. This methodology can be practiced by anyone and also be integrated into more specific eating practices that honor food allergies or eating preferences. Using Intuitive Eating principles, you’ll discover a weight-neutral, non-diet approach to nutrition. This methodology can be practiced by anyone and also be integrated into more specific eating practices that honor food allergies or eating preferences. I believe it is never too late to take action and leave your food fears behind. “Emily is the is the kindest, most caring person and is truly happy to help people live their life to its fullest. Her knowledge of food is mind-boggling. Her support through emails and phones sessions has made this whole process easier for me. It’s a lot to learn — you are giving up bad habits! But it’s worth it, and Emily guides you through every phase!” — D.B. Looking to learn more about making peace with food? Start building your toolkit today by reading my blog.